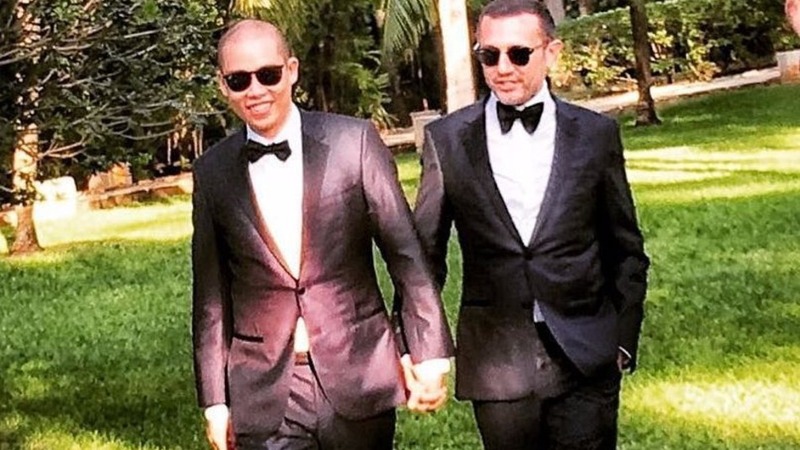 Taiwanese born celebrity fashion designee Jason Wu has tied the knot with long time boyfriend Gustavo Rangel. If you have never heard of Jason Wu, you’ve no doubt seen those beautiful gowns Michelle Obama wore at her husband’s inauguration- yep, he designed those! He’s also the go to fashion designer for the Chinese first lady, it doesn’t get better than that. The star studded wedding took place at a beach side in Tulum, Mexico.